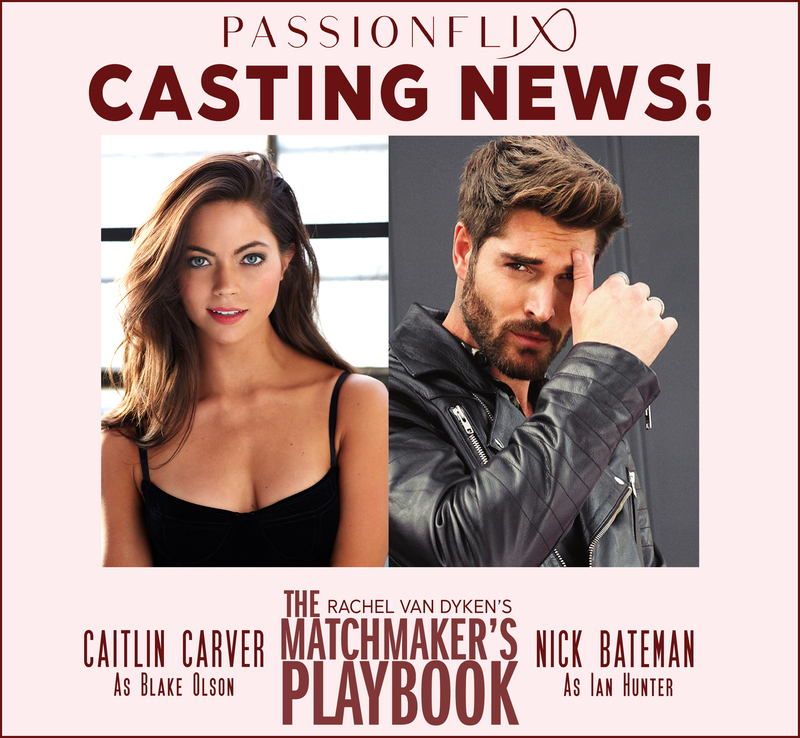 Passionflix is thrilled to announce the lead roles for Rachel Van Dyken’s THE MATCHMAKER’S PLAYBOOK have been cast. We’re excited to share Ian Hunter will be played by the alluring Nick Bateman, and the beautiful and talented Caitlin Carver will star as Blake Olson! The Matchmaker’s Playbook will begin shooting next week, so stay tuned for more exciting news and updates from the set!